The Nintendo World Championships 2015 was an event that had various similarities to the Super Smash Bros. Invitational from E3 2014 - it was charming, had some flat moments, the occasional hiccup, yet managed to seize momentum at key moments to keep us watching. It was a lengthy event that actually started rather poorly: Splatoon was the first game up, but a combination of the commentary team - 9-year-old MiniWheat was a divisive presence - and the fact we couldn't really follow who was in each team made it a damp squib (or damp squid?). That was arguably the worst section, though we'd suggest there was a steady improvement from that point onwards. The 'underground' elimination stages were entertaining as retro speedruns, with the Super Metroid round being a particular highlight, and Nintendo also revealed a new 3DS game - Blast Ball - in another event, a team-based shooting game with strong Metroid-like design. If anything, giving a game its World Première in the event only served to inflate expectations a little too far in subsequent rounds. There was also Reggie Fils-Aime taking on Hungrybox in Smash Bros. and getting trounced, though some of the smack talk from Hungrybox and the commentators was, in this writer's opinion, in poor taste. Ultimately, though, it was the arrival of Super Mario Maker - as per its new extended name - which stole the show in its introduction for the final round. The vibe of its introduction actually did - for some in the Nintendo Life team - bring to mind the iconic scene from The Wizard that introduced Super Mario Bros. 3. It was a terrific contest between famed speedrunner Cosmo and qualifier John Goldberg, with the latter triumphing. You can see it all unfold over the course of more than an hour from the 3 hour 30 minutes mark below; it's engrossing viewing. First of all, praise should be given to the Nintendo Treehouse team members that designed the stages, while Cosmo and John Goldberg (AKA John Numbers) put on a great show, with the latter clearly being an enormous fan of the platforming genre. Both players showed outstanding skill, and it seemed apt that one of the most popular Nintendo speedrunners - Cosmo specialises in The Legend of Zelda: Ocarina of Time and once held the world record - and a fan that had come through the qualifying process were the two to go all the way. The method that got us to the tournament was undoubtedly flawed, but the finale played out well for Nintendo, the competitors and - we'd suggest - viewers at home. But back to Super Mario Maker, and for this writer that finale provided the eureka moment that made this one of the hottest releases of the year. There are multiple factors behind this tipping point, all of which reflect the effort that the development team has invested into the project. It was welcome to see all four visual templates incorporated - Super Mario Bros., Super Mario Bros. 3, Super Mario World and New Super Mario Bros. U - and they looked terrific. Super Mario Bros. 3 will always be a personal favourite here, but what was particularly exciting was seeing item cross-overs, with items identifiable with specific games being recreated perfectly with fresh pixel designs and models. We got a kick out of items such as Kuribo's shoe, while the peculiar new red stiletto certainly caught the eye; hopefully an 8-bit Yoshi will be shown over the course of E3 too, either in the Digital Event or Treehouse broadcasts. There were visual moments to thrill, then, but these were the first demonstrations - presumably with a near-final build of the game - that truly pushed the envelope in terms of what is possible. We saw all sorts of enormous enemies and items - which is done with a Mega Mushroom functionality - yet it was the detailed execution that was exciting. Homing Bullet Bills, diverse environments, aerial foes / platforms bursting out a perfect distance to enable tight platforming - the precision and diversity on show was intoxicating. Much of that is down to the skills of the designers, naturally, but the range of the available tools shouldn't be underestimated. We saw levels of a significant size, made up of multiple rooms, areas and environment styles. There was a haunted house with mystery doors, a stage that went from a fort environment to underwater and back again - these were hefty stages worthy of any Mario title, albeit designed to be fiendishly tricky beyond the difficulty of an actual 2D Mario release. When we consider the online sharing options that'll be supported, which will even allow us all to group stages into mini Worlds, the potential for this to be a Wii U social phenomenon for Nintendo are clear. The concept brings Sony's LittleBigPlanet to mind, naturally, but the sheer scope of the tool-set - aligned with the brand power of Super Mario - gives this game the potential to truly take off. 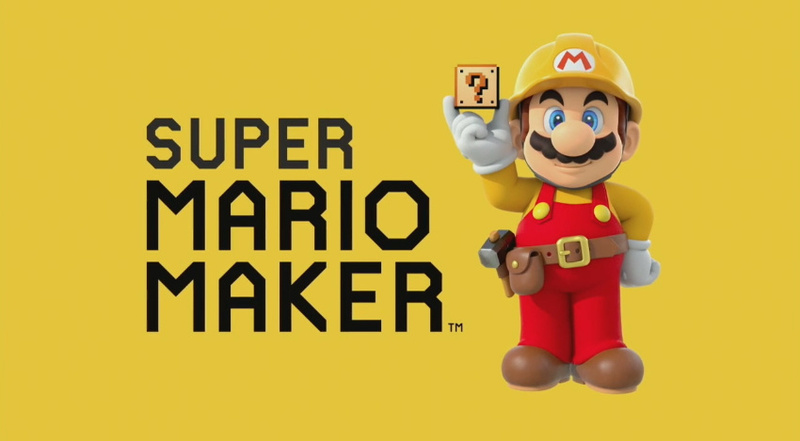 Can Super Mario Maker be a major success to boost Wii U hardware momentum in a meaningful way? It's hard to tell. Whether it's a mainstream smash hit or not, though, we can't wait to create our own Mario stages this September. I've wanted this game from the moment it was originally announced, but last night's masterful presentation really made my hype meter go up 1000%. The crowd reactions were off the charts - and I was gasping and jumping along with the two finalists as they played through it. The game still surely won't be for everyone, but I think it made a lot more people seriously consider it than before. Really hoping there is a level sharing mode! It should be a given, but with Nintendo, you never know. Again, definitely hyped for SUPER Mario Maker! There is, it's been shown. You can share levels and you can bundle 4 levels together into an entire world and share that as well. @ericwithcheese2 It's already been said from last year that levels can be shared. I guess for a lot of people this was the very first time watching the full potential of the game yet I was lucky enough to watch the special live Game Center CX episodes celebrating the 30 years of Super Mario where Arino made some levels for Japanese YouTubers to tackle. I noticed then the potential of the "tool" just like people are noticing it after yesterday. Can't come out soon enough! I didn't understand why Cosmo was so poor. The levels were hard, but the first part of the final stage looked pretty easy and he just couldn't do it. It was only wall jumping. Really odd. @Shiryu I've seen that show, too. But yesterday they showed off A LOT more of the possibilities in SMM! @A01 @StephenYap3 Thanks. I totally missed that. Plus Cosmo's a Zelda specialist, whereas the other dude seemed to love a bit of Mario platforming! @A01 Cosmos was really good in other parts of the game. He and John Numbers were really evenly matched as far as winning levels until the end. I imagine the stress of it all played a role. Once you get thrown off your game a little, it affects the rest of the round. They were both very worthy competitors. @manu0 All the "traps" where more or less the same as Arino's. But they did show a lot of new graphics pieces like the Mario 3, Super Mario World and New Super Mario Bros tile set. At the time of Arino's show, the playable build only had Super Mario Bros 1 graphics. I'm hoping Nintendo will throw in a single player campaign with Super Mario Maker, as I can't really imagine it being released with just a batch of demo stages. I've never been less excited for a new Nintendo game. Not interested in making levels or playing any more 2d Mario for a very long time. Everybody else enjoy this as I know it will be of quality. When Super Mario Maker came on, I totally got a Wizard vibe. I knew I was buying this game "day one" the second I heard about it...to fulfill a childhood dream of designing my own Mario levels. But my family was going nuts when we watched the championships. Both of my sons were screaming at different moments watching the two finalist play through those levels. I can not wait. I may visit Best Buy later in the week to try this out. I liked how there can be sub-levels within one big level. We know doors can move you between levels, but can they move you between sub-levels? I'm assuming the game uses sub-levels anyways - they could just be moving you to different stages entirely. We'll have to find out. EDIT: I'm pre-ordering this as soon as I can. Mario Maker looks really amazing so far! I can't wait to see all the unique customization options we'll be able to use. I mean, seriously, who doesn't want this fantastic title? Hindsight is 20/20 but THIS is the title that should have shipped with every Wii U back in 2012. Oh without a doubt it was the most entertaining game of the Championship. It really does look like it's going to be a whole lot of fun and possibly one of the best Mario games ever; at least in terms of the kinds of levels we are going to see. I do however still wish Nintendo had ended the show with say a brand new Mario game, Super Mario World 2 or a new 3D Mario, and really just totally blew us away with something we never expect; like it did with SMB3 back in the day. I might have had Super Mario Maker as the second last game and then some brand new megaton game for the finale. @gatorboi352 Exactly. A bunch of games like this and Art Academy: Atelier would have sold far more people on just how unique the Wii U is and how much of a differentiator the GamePad can be. Also, without any shadow of a doubt; amiibo should have been there from day one. If you combine all that kind of stuff and imagine it was actually there at launch; I personally think the Wii U would be a much bigger success in terms of sales at this point in time. To those complaining about no women being represented in this tournament, there were two and neither made it to the final round but there was some representation in the final round because there was a red stiletto. Hope everybody complaining was satisfied. What a fun event to watch. Miniwheat was so annoying talking over everybody I bet Justin and Kevin were ticked because between mini and big wheat they could not get a word in. Blastball was the low point of the show. Super Mario Maker is something I've wanted in a game for a very, very long time. And now it's finally happening and it looks even better than I could've possibly imagined. I am super pumped for this. It was really fun to watch. I just hope you can zoom out and work on levels from farther back. I feel having it zoomed in will be tough getting the scope of the level. @TruenoGT Totally agree; the guy was a total douche. I mean we all know Reggie is just a bullsh*tter marketing man but Hungry came across like a total *ss and took it way too seriously. He actually came across as genuinely threatening and like he was taking it personally, like he really wanted to punch Reggie and/or belittle him or something, which is just kinda missing what competitive gaming is supposed all about, and he was also the epitome of a bad winner. Either he was trying to ham it up, like you see wrestlers do all the time, and he just failed miserably or he needs some anger/frustration management. That was the worst part of the Championship by far for me—kinda put a downer on things for a bit—and he's probably shot himself in the foot regarding any kind of dealings with Nintendo going forward, which just seems needlessly stupid imo. I really wonder with what kind of levels, maybe even a full 8 world game, SMM will ship and what kind of tutorials it will have. @Kirk I don't know..the whole back and forth between these two seemed very scripted to me. @technotaylor98 Where did I curse in this? I'm genuinely wondering, in case there's a meaning or curse I don't consider to be so. @TruenoGT Yeah he was extremely rude and just made himself look like a jerk. Obviously Reggie was never going to be pro level and he's not a "fraud" because he isn't an expert at playing smash. It's was a fun idea but people like that (hungrybox) don't deserve that kind of opportunity. @technotaylor98 "It was a lengthy event that actually started rather poorly: Splatoon was the first game up, but a combination of the commentary team - 9-year-old MiniWheat was a divisive presence - and the fact we couldn't really follow who was in each team made it a damn squib (or damp squid?)." I'm not trying to be awkward, and maybe I'm over-tired, but I'm not seeing it? 3 months ago I would not have played any game online, and Splatoon happened. Now I say I don't like to create levels or play levels by others, so I wonder if this will do the trick for me. Having all 4 visual styles was a great idea. @technotaylor98 Ah, that was a typo, I just couldn't see it! Now corrected to 'damp'. It went as well as one could hope. There's something about video games that make it challenging to build a spectator show around. So much of the excitement of interactivity can be lost when just viewing all the action, and heaping on televised sports, game show and even Hollywood elements don't do it justice. I will say that Mario seemed to transcend all that complication. Probably because of how brilliant and iconic and meaningful that game truly is. @ThomasBW84 Not sure in England, but Damn is considered an explicit word in North America. The country with the biggest adult entertainment industry and gun stores everywhere thinks damn is that bad? Damn...thats silly. I hope nintendo makes these championships a regular thing, the only thing that needs to change is having invited contestants. It should be qualifiers only. @Mr_Zurkon Yeah I would love this to become an annual thing. I somewhat I agree it should be qualifiers only..but Cosmo and Arin being there got me twice as excited as I otherwise would've been. Its nice to have someone you like to root for. Also, it would've been nice if it wasn't US only, but thats a teeny tiny minor complaint. Day one purchase for me, it will be my 3rd Wii U game. I can't imagine how different the last few years would have been had Super Mario Maker been either at the launch of of Wii U or the bundled in game. Nonetheless, this game will a sorb all of my free time lol. The Balloon Fight underground section was my favorite, personally. So unexpected! Don't have a wiiU, so my excitement was very well tempered for Super Mario Maker. It seems better than both Mario Paint (it's spiritual predecessor) and Warioware DIY (it's Warioware equivalent), so it should be good. Hope that the community and Nintendo keep the title alive for several years. If Nintendo pulls the plug on Wii U online services in the future (like it did for many WiiU and DS games), SMM will be effectively dead. That is the issue with those sorts of games. The only truly low point in my opinion was Blastball. That game just looks boring. The rest of it was decent to outstanding. I agree Hungrybox was a douche but Reggie kept it classy. Mario Maker was the absolute high point and I want that game NOW, haha! @AyeHaley Yeah the "world championship" should definitely be more worldly. @technotaylor98 That's not a curse in the US. At least not where I'm from. @Kirk @gatorboi352 - "THIS is the title that should have shipped with every Wii U" "just how unique the Wii U is and how much of a differentiator the GamePad can be." Going to have to disagree w/ both of you, and this similar sentiment from the article - "the potential for this to be a Wii U social phenomenon for Nintendo are clear." While I appreciate Nitneod is taking a bold step in letting people create levels w/ it's most cherished franchise Mario, this game doesn't seem to me to be either a system seller or a huge social media success. It's still just 2D Mario, and 2D Mario games are hard for most people not raised on them. (Heck Cosmo coudln't complete half of them last night, poor guy coudln't even wall jump.) Peopel are going to make hard levels and share hard levels. Non-Mario people are not going to be excited by this. Maybe at launch, but once they realize it's very very hard to make a fun yet challenging 2D platformer they will lose interest. LBP has charm and charisma and has a very forgiving system - unlimited life check points. An easy 2D Mario level is simply going to be too easy and boring. Yes, we can make Mario levels, but it's nothing like you can do in LBP, or Minecraft. Compare Super Mario Maker to Splatoon. Splatoon should have been the Wii U launch title. Online multiplayer, easy to pick up and play - even if your team gets destroyed b/c you stink you can still get a few hundred points and buy new gear and weapons. I'm sure SMM will outsell Spaltoon, but I'm not sure it will boost Wii U sales as much. And it won't boost Wii U's visibility as much to the non-gaming audience. I'm sure people will love it, but the same people who already have a Wii U for all the other Mario games. You can put me down w/ @Spoony_Tech as a "pass". Though my kids will get it day 1 and make a lot of crazy hard levels that nobody will be able to beat or want to play. I'll be playing Yoshi's Wooly World. In Mellow Mode. Whether I get any other game or not this year, I will definitely be getting Mario Maker. And for those that question why this wasn't officially a thing before, well with the Gamepad, it becomes a breeze to make Mario levels. Whereas on any other console/handheld (not including the DS or 3DS,) it would be less fun to do so. @andyg1971 You do know you can watch all of it on the Wii U browser and YouTube app? Same with 3DS, PS4 etc etc. I watched it on Wii U this and last year while I use my laptop for flipping out on chat. @rjejr You can only post levels/worlds you can actually beat, just like Pushmo. Damn isn't usually considered explicit unless God is in front of it. Unless people are even more whinny these days. Which is a good possibility. @Mr_Zurkon Think of it like any other World Cup. The World Cup itself takes place in one country, but teams, or in this case, people from different countries can participate. Also most directs and vids are put up on the eshop as well. So Wii U browser, eshop and worst option youtube channel. Seems like a good amount of options. @MeddlingIdiot Now that I think about it, they could do some really awesome things with a full length campaign. It could be like Mario's own version of Sonic Generations. @AyeHaley - Well John Numbers beat those levels last night, but that Cosmo guy, the speed runner, was not having much luck at all. so the definition of "beatable" is very wide. @Takerkaneanite6 - You must be new here. @AyeHaley - Being a lousy typist <> loving to type things incorrectly. I type everything incorrectly, but Nitrated is the 1 word my spellchecker doesn't fix, it changes it to either Nitwit or Nitrated, and I've decided Ntinedo is better than Nitrated. Maybe we should have poll, Nitnedo or Nitrated? I do love using my emoticons though, that IS my thing. This definitely would have helped Nintendo to sell more Wii U. It's appealing to both newcomers and veterans. For all the serious Smash players here - don't you think it would be better for the audience if they played w/ stock lives rather than time? Who wants to watch 6 minutes of people fighting only to have to wait until the end to see who won? OK, it was obviosu to me Shulk was beating on everybody the fist match, and Toon Link kept going after him in the 2nd match, but wouldn't it make for more exciting viewing to have the weak players get knocked out after 5 lives and watch the 2 strongest players battle it out at the end? I really dislike the changed name. It throws off the alliteration of it, and it just feels like they were afraid somebody wouldn't know the name Mario on its own or something. @Kirk I'm glad to see other folks were as put off by this guy as I was. Geez dude, are you completely void of social tact? Nobody thought Reggie was going to win. It was just rad that he was out there in the first place. What other president is going to do that sort of thing? Now I feel like he'll probably be more reluctant to do that sort of thing in the future. It was like watching a pro basketball player slamdunk on the old owner of his team and be really proud,rude & disrespectful about it. "Fraud", "boy" how about "thanks a lot for the opportunity to be at this rare Nintendo event where people will actually give a crap for 5 minutes that I'm good with a character named 'jigglypuff' in a game you helped put out"
That was the low point of the show for me by far. The rest was positive and more fun & entertaining than I even expected it to be. Also @ThomasBW84 I could care less if you curse on this site. I think people who give those words the power to offend them have their priorities jacked. But I also am a minor demographic I understand and you guys wanna keep it as professional as possible. Just wanted to say I don't comment much but I visit this site daily and you guys do an awesome job! Thanks for your hard work on keeping us up to date. It is appreciated sir! I feel like I have been waiting my entire life for this. Guys, the idea that we can literally make a super Mario world sequel is outstanding. @rjejr Well for me this isn't about Super Mario Maker being a system seller (although it probably would be for a lot of fans and certainly would have been a much cooler pack-in than Nintendo World for me personally) so much as its about games/experiences that show how creative people can be with the Wii U and really highlight its GamePad as being a unique selling point of the system. The point is that Nintendo needed a lot more games that really showed off the GamePad in a hugely positive light right out the gate imo. With enough cool unique selling points, as this kind of software represents in the console space imo (Super Mario Maker and Art Academy), I believe the Wii U would have sold far more units than what was basically perceived as an underpowered competitor that didn't really differentiate itself in any significant ways. Splatoon also would have been a great game to have at launch, just because it's a brand new first party franchise and a genuinely good and cool game to boot, but those other two games were actually realistic possibilities to have for launch imo, seeing as they are relatively small games, whereas there's obviously no chance Nintendo really could have had Splatoon at launch unless it had started working on it a few years before Wii U even came out. Don't worry about HungryBox. Reggie will just kick him in the NIDs. "SMM just a 2D platformer?" Jeez. I am going out of my mind at this game because it lets you turn everything you know on it's head. It's as fresh as a squidkid dual wielding. @Ak_Dub Yeah, feel exactly the same as you do about the way Hungry dealt with that situation. It was a low point for me and actually genuinely made me feel uncomfortable watching it. The talk between Hungrybox and Reggie was pretty much what I'd expect they'd say, I suppose the "fraud" comment could have been better worded but perhaps he was distracted by the game, when I first heard it I thought it was one of the commentators. @AyeHaley Didn't realise that, thanks. It's still a bit weird that Nintendo don't do something exclusively through Wii U, after all I am interested in their games and just need a gentle shove to cough up more cash for their wares. 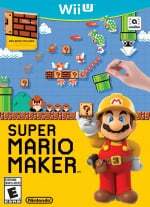 Everyone is raving about Super Mario Maker and I have not seen any of it. @Takerkaneanite6 Thanks, didn't even know Nintendo had their own Youtube channel. @Kirk - Yeah, Splatoon at launch isn't really a fair comparison, but I do think it would have gotten a lot more attention than Nintendo Land if they were able to pull it off. It hasn't quite reached the mainstream news appeal of Wii Sports but it feels like people have finally noticed that the Wii U exists. Only took 2 1/2 years. "With enough cool unique selling points, as this kind of software represents in the console space imo,"
Sorry, I just don't see it as unique at all. SSBB on the Wii had a level editor. Little Big Planet is SEVEN years old, and the amount of editing even way back then was leaps and bounds beyond what SMM offers. You really don't "make" anything in SMM, you just place it. LBP you cut and color and copy adn paste and layer and create worlds and levels and games and FPS and pinball and everything else in your imagination. SMM makes 2D Mario, that's it. I know it's a "wow" for Nintnedo fans but i's old hat for gamers. Just look at Minecraft, that's 4 years old and you can do a lot w/ that on consoles as well. SMM is the videogame version of Colorforms. @Takerkaneanite6 - If it makes you feel any better I'm sure there are lots of other things you can bash me on, I'm just over my mistyping of Nintendo. @manu0 It seemed very unscripted to me and very uncomfortable; almost personal and quite aggressive. @rjejr I'm not sure you're seeing the difference between the scope of level editing capability in this Mario game and that of Smash Bros. To me Mario's is a whole different beast and far more universally appealing and likely to excite people. I think only Smash fans would care about an editor in Smash whereas I think almost all Nintendo gamers would be excited by the idea of a game like Super Mario Maker; even many lapsed Nintendo gamers. One is a whole new game that is a great twist on a beloved franchise, which is going to get a lot of people genuinely excited, and the other is just another mode in an already popular and packed game. If somebody cannot complete a thought without using profanity that is a problem on their part not mine. What value does it add? Also there are a fair amount of children on this website so why go out of your way to purposely put in a profane word? It is totally not necessary. If the power to use profanity is that strong and you know the use of those words can offend others yet a person uses them anyhow then that person has their priorities "jacked"
You must use the paint roller in splatoon because you paint with very broad strokes. Splatoon was one of my favourite spots in the championships, legend of Zelda was great, super Metroid was awesome, blast ball was boring as all hell, Mario kart 8 and smash bros was great, balloon fight was stupid. ..then there was super Mario Maker, that blew me away! !! Easily a day one! I'm hoping nintendo announces a special edition with super Mario Maker and the 8- bit Mario amiibo packed together. @NorthLightSuplx While I agree that excessive profanity can be distracting and tiresome, I just thought it was silly that Thomas was quickly scolded for accidentally putting the word damn in an article. I also said that I understand I'm not the only type of person that frequents this site that he must take into consideration so it makes sense to try & keep it as PC as possible. Just lightly defending one of the staff that keeps this whole ship (that gives us a forum for our Nintendo related opinions) afloat. And please don't try to make me feel dumb by putting words I like to use in quotes. You're an immediate and shining example of why I don't typically post on forums in general. My initial post wasn't even directed towards you. I couldn't agree more: Super Mario Maker did indeed steal the show. As far as I'm concerned the whole event actually was a whole lot more entertaining than I'd expected. For me personally, other than the slightly annoying comments, Splatoon was also very enjoying to watch. Blast Ball wasn't all that interesting to me and I expect it to be an eShop game. But I really got into the whole competition vibe and both the underground and the Super Mario Maker sections were nothing short of brilliant. Enough has been said about the behavior of Hungrybox, so I won't add more of the same to that, other than the fact that I agree with it being uncalled for, whether it was meant in jest or not. Also really psyched to see more of Shin'en's game FAST Racing Neo, so I hope they show us some more of that, since the trailer was WAY too short. I wasn't so bothered about Mario Maker until I saw it in action last night. The levels were insane and ridiculously fun to watch people try and figure out. Am I right in thinking there's no online sharing? If that is the case it's a huge mistake. Nintendo could make last nights levels available for download so we can all have a go, plus give us plenty more of the same every week. This was good on Nintendo's part to showcase this and have the competitors play this yesterday. This game looks better and better this will probably be a day 1 buy for me. @Kirk - Well I do agree the level editing in SMM is far above SSBB, which was really hardly anything at all. And it's also much better than SSB for Wii U, which was also very limited. But the people I was replying to were saying the level ediitng in SMM was "unique to consoles" adn a "differentiator" and having played a lot of the LBP games and Minecraft on consoles, SMM is still very limited. 1. Can we play online multiplayer on the levels we make? 2. Can we play couch offline multiplayer w/ the elvels me make? 4. Can we cut and shape objects or manipulate the ground? 5. Can we put Mario's head on Yoshi's body? Can we play as decorated Miis? All I've seen so far is 1 player taking objects and putting them on a static background. Great for long time Mario fans, just cut and paste for everyone else. Hopefully tomorrow I'll be impressed. @rjejr I'm betting on Splatoon sales in Japan actually increasing week-on-week as Nintendo is still trying to sort stock problems. If not, it's awfully close! @Shiryu When was this? I'm going to try looking for this, thanks. Damn, can't wait for this game to come out! @Baker1000 They confirmed online level sharing a couple of months ago. So it seems like Nintendo knows what they are doing in this situation. Yeah, now I really want this game! It was amazing to watch really good players play those crazy levels, but I feel like I would never have an amazing experience like that with the game myself, so it didn't make me want to buy the game ultimately. @TheWPCTraveler Hmm, a few months ago... let me see if I can find it... found it! @rjejr I doubt you'll be able to do most of that stuff you are talking about but that's because Super Mario Maker is really just a level editor (it's not pretended to be otherwise) whereas Little Big Planet is a full creation tool, and there is obviously a massive difference between those two things. So don't expect too much of SMM and you won't be disappointed because from what I've seen it's going to be a brilliant little level editor and imo will be more fun to play than anything I've seen created in LBP to date, which is ultimately more important than having thousands of options and tools or whatever. The idea of being able to edit the levels using a really intuitive and quick input like a stylus or with touch is however basically unique to consoles, certainly modern home consoles, and that is a potentially great selling point imo. Same goes for drawing/painting with the stylus directly onto the GamePad screen, like using actual brushes or whatever on a canvas, in Art Academy. These are definitely unique selling points of the Wii U and I think properly emphasising and showcasing these kinds of unique features really would have been worthwhile much earlier in the console's lifespan. Imagine if Nintendo had actually put a game or creation tool like LBP on Wii U at launch and allowed you to use the stylus and GamePad to quickly and intuitively interact with it and edit various elements; drawing textures, carving shapes, easily dragging and positioning elements, and a whole lot more; as well as being able to share all your creations with other Wii U users and probably even post certain things to the Internet, like images you made on Instagram or animations you made on YouTube—especially if it packed it in box for free with every single Wii U system day one. I personally think that would have sold a whole lot more Wii U systems out the gate and excited a whole lot more consumers in general. I've been saying Nintendo should have been doing stuff like this since the original Wii and certainly should have done it with the Wii U, which was ideally suited for this kind of thing, as we have seen with Super Mario Maker and Art Academy. @Shiryu You can link stuff like that here? Wow. Anyway, thank you. I've been meaning to watch Arino-san ever since I saw him play through Lemmings! @TheWPCTraveler I just linked a YouTube video of a NicoNico live presentation... I see no harm in that. If the moderators feel otherwise, they just need to get in touch with me. @Shiryu No, I meant how you could make your text a hyperlink like that. Sorry for the confusion, I ended up staying up last night for the Microsoft E3 conference. @TheWPCTraveler Ah, tags! Go check out the forum for a whole bunch of them. @Kirk - Yeah, I was watching the Sony event last night and when "Dreams" came on the the thought crossed my mind "Well, SMM doesn't really look like much now, does it". I agree w/ you, had Wii U launched including a cool art program - I really don't know why it didn't - then it could have been a big selling point. Full color artwork posted immediately to Miiverse. How was that not part of the $350 console? How can we still not use color in our Miiverse handwritten posts for that matter? At least give us red. Splatoon posts demand color. I still don't see a 2D Mario level editor as anything other than that though, a 2D Mario level editor. I don't see how that works much better than NSMBU and the Luigi Levels at selling Wii U. Or even getting people interested in buying a Wii U and waiting for a price cut. Again, I'm sure it will sell well to the faithful. 2mil probably, but I'm just not excited. Dreams excites me. A lot. Though to be honest, I'm kind of burned out on videogames in general. Still play them, but I used to be 5 or 6 hours a day, 8 on the weekends, now it's 1 or 2 or 3, mostly b/c of Spaltoon and I'm 85 hours into Xenoblade Chornciles. Even my kids are burning out. They still play a lot, but they hardly want anything new. I'm thinking of buying us Lego Mindstorm for $350, maybe some other tinkering coding robot dodads. Dreams plays into that. Lego Worlds even. 2D level editors not so much. @rjejr I think the thing is that when you see how many different fan made Mario level editors there are online, compared to almost any other game, and how popular they are—that's when you get an idea of how big a hit and how compelling an official Nintendo version of such a thing might be. I mean this isn't a full creation tool, like LBP or Dreams (which I personally think Nintendo should have had something like this built directly into Wii U out-the-box for free), but it's one of the coolest Mario editors I've seen and just looks like it's going to be more fun than 90% of brand new current-gen games out there to be honest. It might even sell the console to a bunch of people that wouldn't have bought it otherwise. Not millions but some.